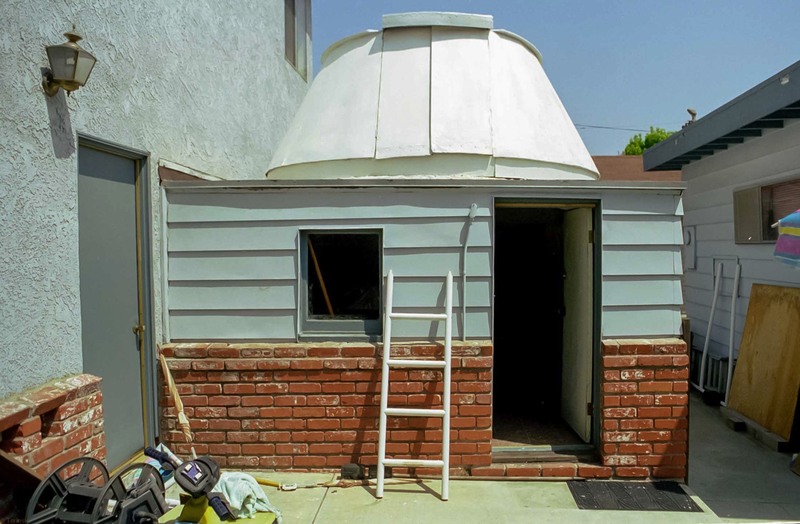 Thomas Cave, distinguished planetary observer and founder of Cave Optical Company, built an observatory in his backyard in 1940. 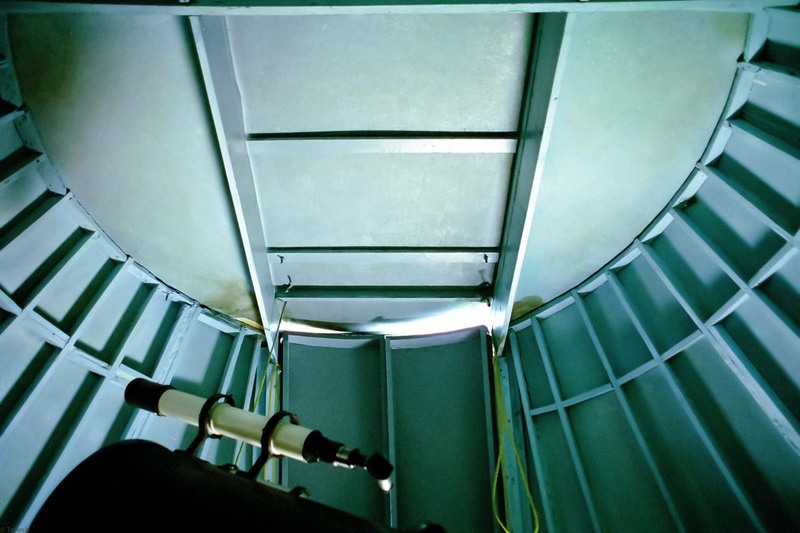 The observatory is still in use, and although it is now surrounded by newer construction, it still has a clear view of the ecliptic. 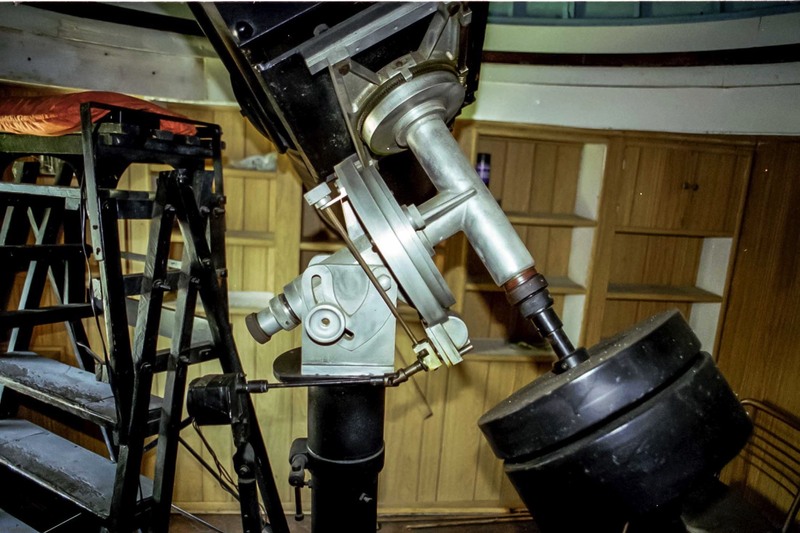 The more than 16,000 Astrola telescopes produced between 1950 and 1980 still have loyal fans. Today the Cave Observatory only has a view to the southeast. These photographs were taken on May 16, 2003. I had talked with Tom the previous week and was hoping to continue our conversation on this visit. Unfortunately, on the 16th he was back in the hospital and died two weeks later (see below). Thomas Cave passed away on June 4, 2003. 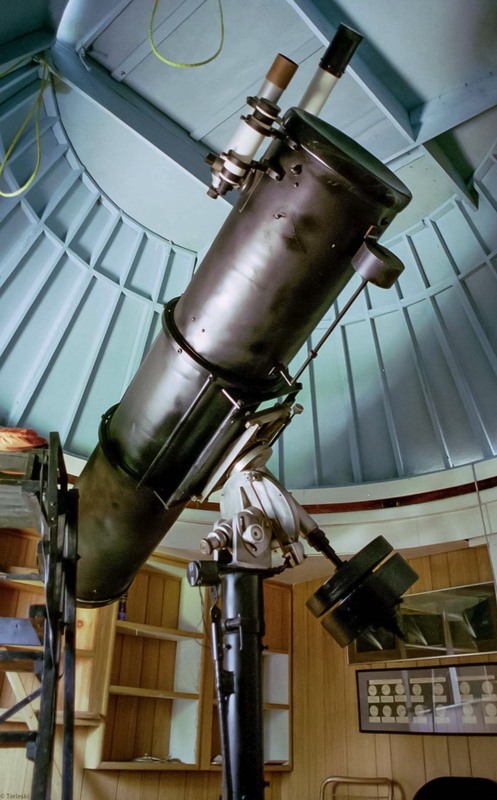 I was fortunate enough to have talked to him only three weeks before his death at a meeting of the Orange County Astronomers. 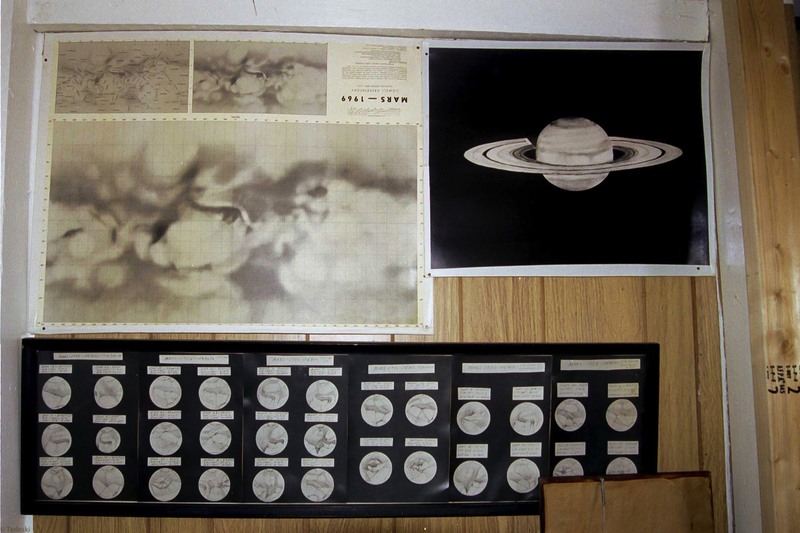 To the end he still had vivid memories of his career in astronomy and optics and could recall all of the oppositions of Mars he had witnessed and recorded. Sadly, he will miss the upcoming "great opposition" this August, an event he was hoping to see. 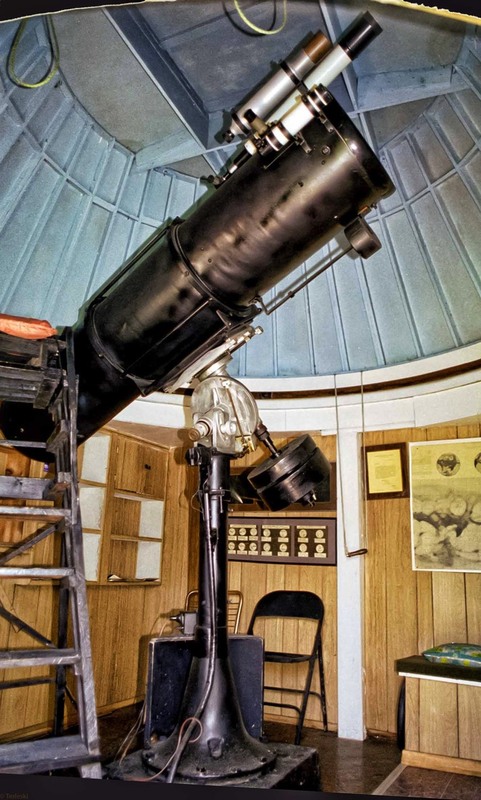 One thing I was not able to find out is whether the mount Tom had at his observatory was built by Bill Schaefer. 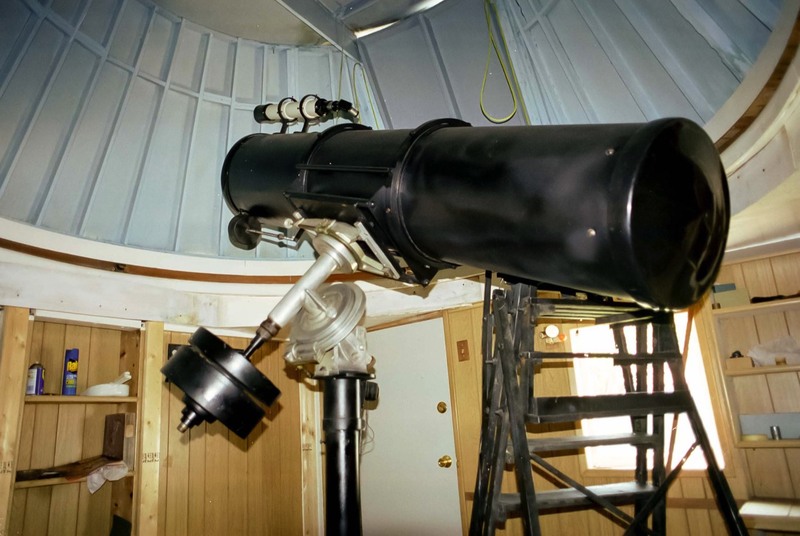 When I talked to Tom he said that they used several Schaefer mounts over the years and that Bill had built one that he (Tom) used in his observatory. When I asked him where that mount was today he said "I'm still using it.". Now the only telescope he had in use when I went over to his house two weeks later was the one you see in the photographs. Part of it looks like a Schaefer mount, but some definitely does not. 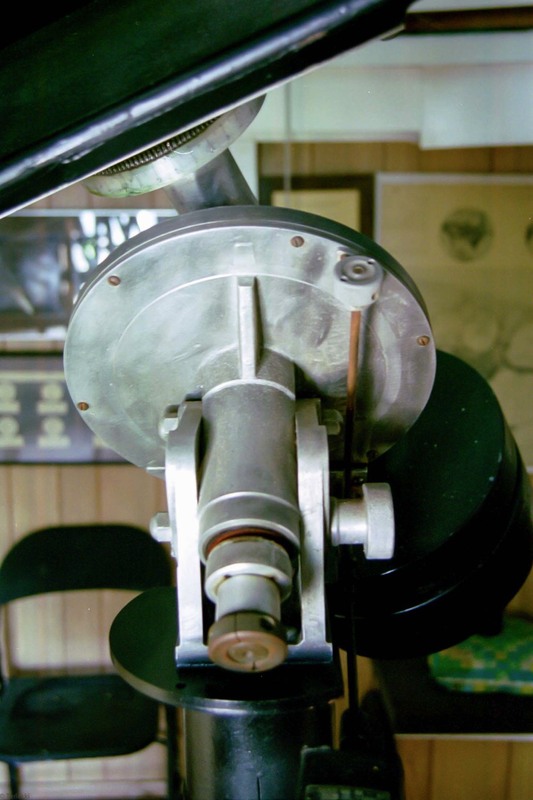 I think your information about the Cooke mounting clears the mystery up. 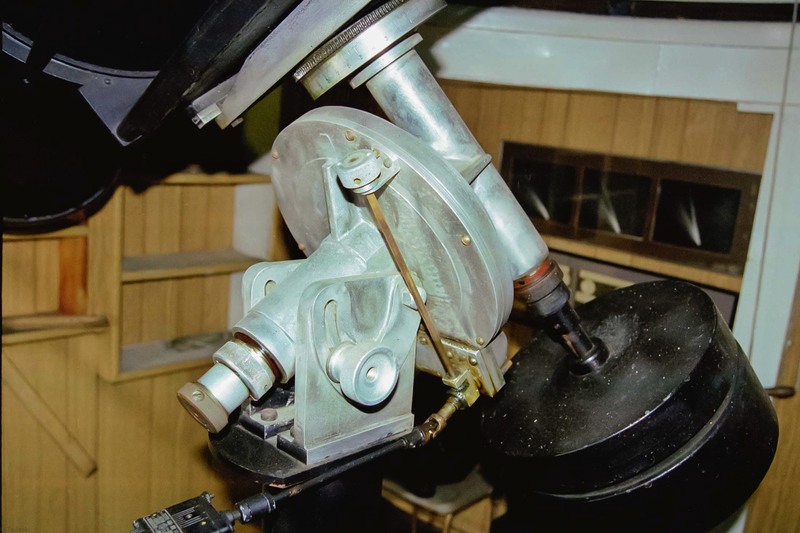 The polar axis adjustments and the extension of this axis definitely look more like something that could have been purchased in the 40s, not something made by Bill. Tom was obviously very ill when I spoke to him, and, although mentally acute, could well have misunderstood my question. I always felt bad about not being able to talk to him again.